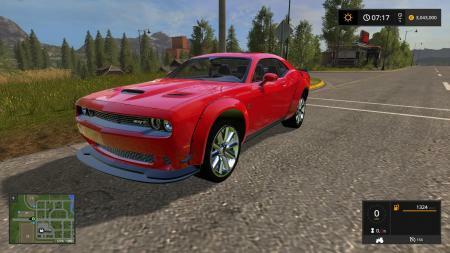 Today we bring you another awesome Dodge Challenger from Winston Modding for Farming Simulator 2017. This time round it is an amazing 2015 model Dodge Challenger SRT Hellcat. First of this car accelerates incredibly quickly. It will reach its top speed in no time at all. So if you need to get somewhere on your farm fast then this car is for you. Other features include operable doors, hood and trunk. The suspension also handles very realistically as well.